Back by popular demand, award-winning river cruise lines Uniworld Boutique River Cruise Collection and U by Uniworld are offering travelers incredible savings on select 2019 voyages with their Our Best Offer promotion, for new bookings made November 1, 2018, through December 31, 2018. The offer extends to over 40 unique itineraries throughout Europe and Asia, including all five of Uniworld’s brand new itineraries, as well as its exclusive cruise for River Heritage Club members aboard the brand’s newest Super Ship, the S.S. Bon Voyage. Guests will receive up to 30 percent off on over 200 voyages including select departures on Uniworld’s brand-new and enhanced itineraries for 2019 such as the new Magnificent Moselle and Rhine, 10 days from Frankfurt to Cologne offering a unique perspective on this German wine-making region, (savings of $1,410 to $1,710 per person); new 10-day Authentic Danube & Prague from Prague to Vienna aboard the River Princess, (savings of $1,500 to $1,860 per person); new 15-day Alluring Amsterdam and Vienna on the Rhine, Maine and Danube rivers, (savings of $2,250 to $2,700 per person); and enhanced India’s Golden Triangle & the Sacred Ganges, a 13-day land and river journey from New Delhi to Kolkata with a new wellness-themed itinerary, (savings of $2,700 to $3,900 per person). The offer also applies to U itineraries, including select departures on its brand-new Northern France at a Glance itinerary with stops in Conflans-Sainte-Honorine, Rouen and more (savings of $720 to $1,460 per person). With Uniworld’s Our Best Offer promotion guests can also save on the new Brilliant Bordeaux itinerary and be among the first guests to sail on Uniworld’s newest Super Ship, the S.S. Bon Voyage, launching in April 2019. 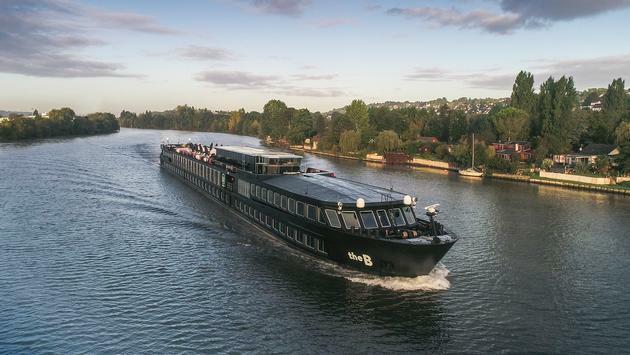 Inspired by the renowned wine and gastronomic expertise of the region, the S.S Bon Voyage offers exceptional all-inclusive amenities including farm-to-table meals at new onboard restaurants, hosted excursions such as a Saint-Emilion walking discovery tour with wine tasting and more. Guests will also enjoy a reimagined top deck with a new outdoor swimming pool adjacent to a new dining venue, relaxed outdoor lounge and banquette seating along the edges with enhanced lighting for the evenings; additional suites and upgraded staterooms; marble bathrooms throughout the ship; and renovated gym and spa facilities. To celebrate the launch of the S.S. Bon Voyage, Bettridge will host an exclusive reunion cruise for River Heritage Club members on June 30, 2019, onboard the completely transformed ship. During this eight-day sailing from Bordeaux throughout Southwest France, guests will participate in Q&A sessions with Bettridge and will take part in exquisite wine tastings, local village tours, farmers’ market visits and biking excursions. For more information on Uniworld’s Our Best Offer savings, 2019 sailings and the exclusive River Heritage Club cruise, please visit www.uniworld.com or call 866-883-3684. 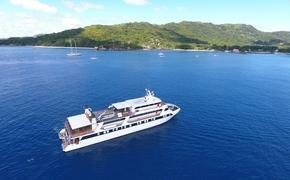 For more information on U’s Our Best Offer savings and 2019 sailings, please visit www.ubyuniworld.com or call 800-883-8785. SOURCE: Uniworld Boutique River Cruise Collection press release.